There’s a flippant, tenacious energy in the production, signaling that the duo are resigned to their state of mind and determined to rage their way out of it. $uicideBoy$'s debut album delivers a dark and grimy vibe, but the duo hasn't evolved much artistically since they first started turning heads on Soundcloud. 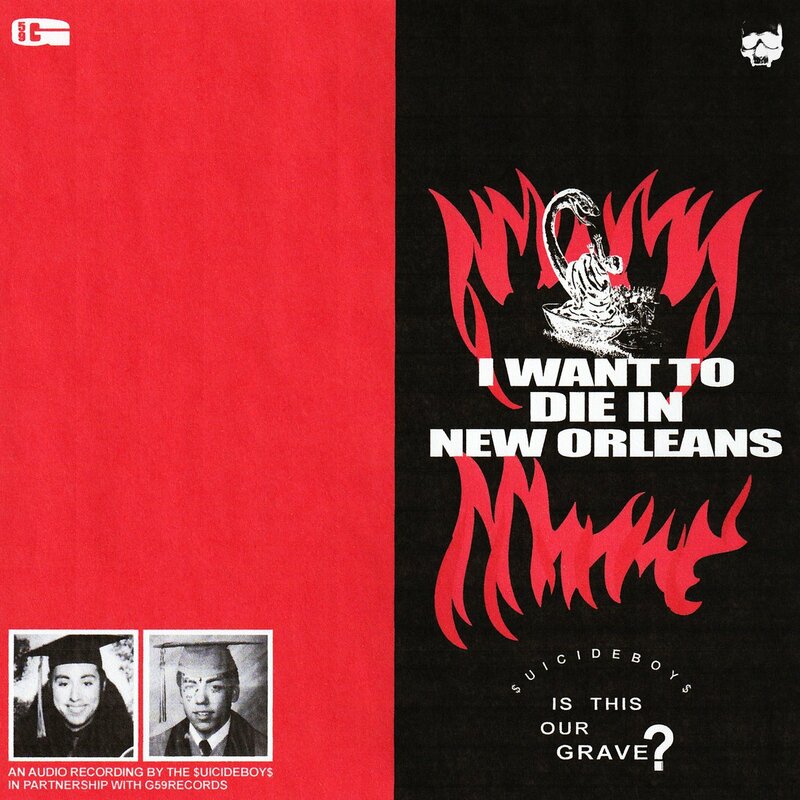 $uicideboy$'s I Want to Die in New Orleans is a depraved record filled with self-loathing, jarring imagery, and awful singing. $uicideboy$ have the charisma to spearhead a movement, but their voices are their own worst enemies. They've always been edgy tryhards, and this album shows how boring edgy tryhards can be. Wasn't expecting anything new or different from $uicideboy$ as lately their music has stayed pretty similar. This album was nice and the production was pretty good. It was some of the same old $uicideboy$ but a little bit cleaner. I did not like the singing and the more "emo" songs on here and personally this album got a bit stale after the third listen. Purchasing I Want To Die In New Orleans from Amazon helps support Album of the Year. Or consider a donation?